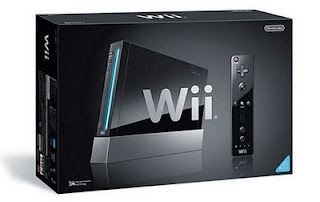 Multiple retail sources for Kotaku tell them that there is a new Wii bundle coming in May, but this time, we're getting black. 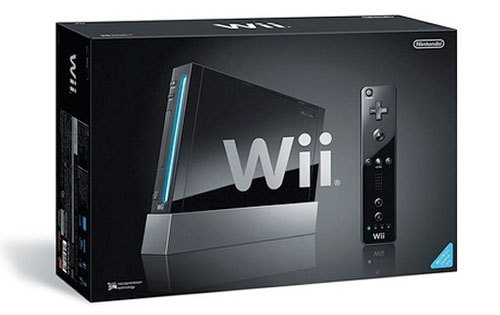 Yes, a black Wii. The very same that Japan got last summer, and Europe got it this past fall. So, it only makes sense that NOA would give the Americans something a little...darker. For those keeping track, I've been frothing over a black Wii ever since Iwata introduced the Revolution as a black unit, introduced a bevvy of colors to the system, limited it down to two colors (black and white), then finally scrapped black in favor of white. That was 3 and a half years ago. Back to the news, Kotaku says the bundle will come with Wii Sports Resort and a MotionPlus attachment for $200. It's not a bad deal, considering the Wii Sports Resort/MotionPlus bundle is $50 in it's own. Throw that little guy on eBay, plus your white Wii, and you've got yourself a nice little chunk of change back in your pocket. Considering all our controllers are black now, you wouldn't be surprised by this news, would you? Maybe their plumber has something to do with a new hardware bundle?